With more and more still photographers venturing into video projects, there’s a growing need for camera systems that meet their production requirements. ARRI, a leading designer and manufacturer of camera and lighting systems for film and broadcast industries, has recently launched a new and complete large-format system that promises to provide just that. Comprised of the ALEXA LF Camera, Signature Prime lenses and LPL lens mount, this new line is also fully compatible with existing lenses, accessories and workflows. While most photographers don’t need a full professional video system, those who do a lot of filming projects on the side may find ARRI’s new offering especially appealing. Such a system helps set the benchmark for video quality through state-of-the-art optical precision, versatile recording formats and fully-immersive visuals. This large-format system also shows that 4K-capable still cameras (such as those from Sony and Panasonic), had a hand in shaping the direction of pro video systems and workflow. The first batch of ALEXA LF cameras will ship at the end of March 2018. The first set of the Signature Prime lenses (35mm, 47mm, 75mm, and 125mm) will ship in early June 2018, while the rest of the lenses will be available over the year. Visit www.arri.com/largeformat for more information. Intimate and emotionally engaging images with an immersive, three-dimensional feel, pulling the viewer in. February 2, 2018, Munich/London – At the BSC Expo in London, ARRI today unveils a complete large-format system that meets and exceeds modern production requirements, delivering unprecedented creative freedom. 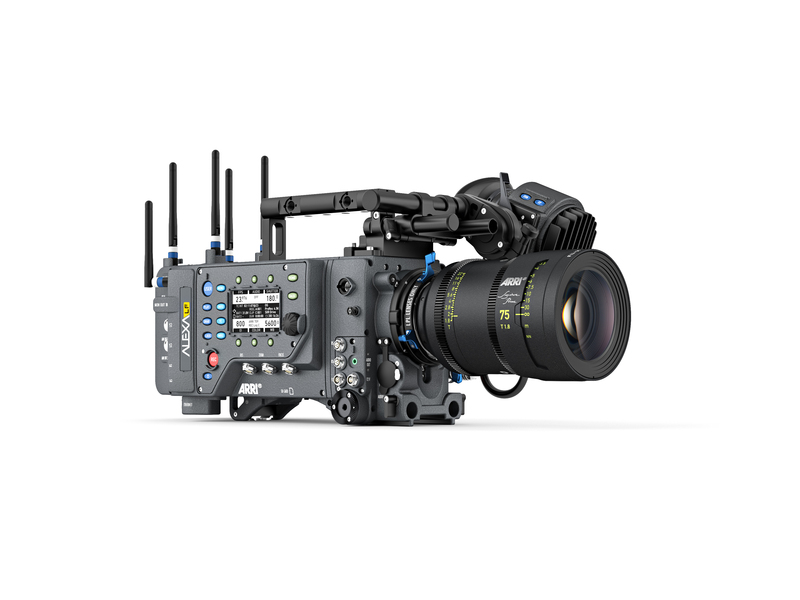 Based on a large-format 4K version of the ALEXA sensor, the system comprises the ALEXA LF camera, ARRI Signature Prime lenses, LPL lens mount, and PL-to- LPL adapter. It is also compatible with existing lenses, accessories, and workflows. diameter and shorter flange focal depth, allowing the ARRI Signature Primes and all future large-format lenses to be small and lightweight, with a fast T-stop and pleasing bokeh—a combination of features that would not be possible with the PL lens mount. The LPL mount will also be available for other ARRI cameras and is being licensed to third-party lens and camera manufacturers. mount lenses, whether Super 35 or full frame. The adapter attaches securely to the LPL lens mount without tools, allowing crews to rapidly switch between PL and LPL lenses on set, and offering cinematographers an unlimited lens choice.